The Golden Globe is an award presented by the members of the Hollywood Foreign Press Association as the proof of their recognition of excellence in film and television. The award should cover both domestic and foreign categories. This award presentation ceremony is held annually and has been the major part of awards season of the film industry. Next year’s Golden Globes 2019 Nominations would be about the best of film and television industry of 2018. It would be the 76th Golden Globe Awards held on January 6, 2019. The award would not be memorable exclusively for the artists, but also their fans and supporters. 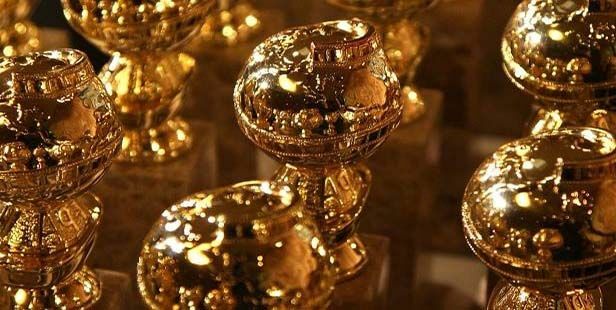 There would be the announcement of Golden Globes 2019 Nominations on December 6th, and the annual ceremony will take place in the next month. So, what are the nominations made for this year? If you want something that could touch the audience, you need an amazing screenplay. In 2018, there are so many good movies presented on the big screen, so it is a bit difficult to decide which one of them truly represent the excellence. However, there are some movies which attracted a lot of attention from the viewer like A start is Born, Beautiful Boy, If Beale Street Could Talk, Green Book, Vice, and BlacKkKlansman. From the leading and high rating movie, there would be some actresses that really worth mentioning because of their role in it. Some of them are Claire Foy for First Man, Regina King for If Beale Street Could Talk, Emma Stone for The Favourite, Margot Robbie for Mary Queen of Scots, and Amy Adams for Vice. There is still some controversy regarding the screen time of several nominees, but soon as the announcement is officially released, we would know for sure. As for the actors, there are also some names that surely would make to the announcement. Timothee Chalamet for Beautiful Boy, Sam Rockwell for Vice, Richard E. Grant for “Can You Ever Forgive Me?”, Mahershala Ali for Green Book, and Stephan James for If Beale Street Could Talk. But there are also some actors that worth mentioning like Daniel Kaluuya for Widows, Sam Elliott for A Star is Born, Steve Carell for Vice, and Russell Crowe for Boy Erased. A great movie needs a great director so that people would come to understand the whole story, who would argue with that? And there are some fantastic works from several directors that might make it to the Golden Globes Nominee 2019. They are Spike Lee for BlacKkKlansman, Alfonso Cuaron for Roma, Barry Jenkins for If Beale Street Could Talk, and Bradley Cooper for A Star is Born. Drama Movies have their own stand, and it is pretty hard to decide which one is actually better than the other one. But then some titles should make it to the Golden Globe 2019 Nominations like VIce, If Beale Street Could Talk, Widows, BlacKkKlansman, and First Man. 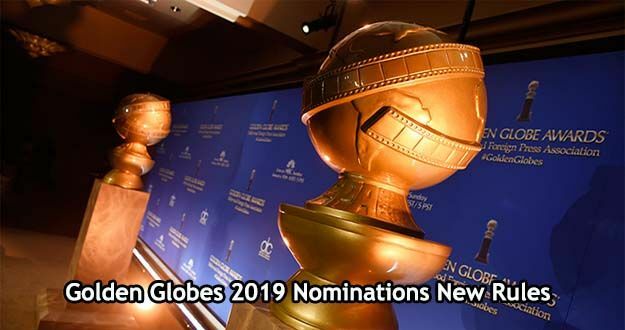 The Golden Globe 2019 Nominations is what people are waiting for, it holds their enthusiasm for their favorite actors, actresses, and movies. It is not just about the people, but also for those who work in the film industry would look forward to the nominations on this upcoming 6th December. After the nominations, there would be the annual ceremony which will announce the winner of each category. However, some rule changes should be paid attention to. These changes would significantly influence how the nominations are made. Before getting into the Golden Globe 2019 Nominations, it is better to look out for the changes first. The one which has always been considered is the blurred lines between the limited series and the regular series, with the genre of both comedy and drama. The change of category in different seasons (for series) should be allowed, and this year, the rules will apply to previously biased qualifications. HFPA members are not allowed to perform the qualifying songs live. There are also some changes regarding the cameos, while it is obvious already that cameo appearances are not qualified for acting awards, but the actor/actress playing a partially fictional character in a portion of the motion picture or television program might get a nomination. If there is a support cast member included in the movie, he’she should appear at least 5% of the total movie time. The movies made in English language but then dubbed in another foreign language won’t get the chance to be a nominee in the awards of the best motion picture – foreign language awards. A limited television series that has gone through the renewal process should be categorized again as series or limited series. But still, the degree of changes in theme, storyline, characters, and supervised production has to be under supervision until the next award season. If there is an ensemble casts in a program with comparable roles, then it would be classified as all lead or all supporting role of an actor/actress. HFPA require the studio or the publicist to upload the television programs, songs, score, and picture to the Golden Globe awards. However, the request is not compulsory, and only the willing agencies would be able to participate in the event. Classifying the submission from the other member could be somehow confusing, and now the HFPA members could ask any of the studio crews or publicist to give a classification. If there is a misclassified drama, now the director of the movie should able to fix the problem. Hey just have to submit the letter to justify the initial classification. There sure a lot of new rules regarding the Golden Globe 2019 Nominations. However, if they truly desire the Golden Globe, a change like this would also be a chance for them as well. Many nominations predictions are available to read on the internet, but remember that it is the writer’s speculation and up until now there are no single official releases about the nominees, at least not now.